Note: This article was first published on 2nd June 2016. Tablets and smartphones are so powerful these days, many people no longer need a laptop. But if you want to get any serious work done, a touchscreen keyboard just won’t cut it. 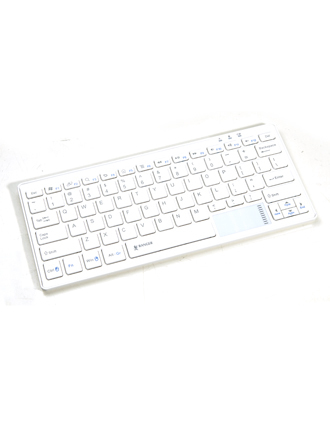 A portable Bluetooth keyboard is easy to set up and gives you a real typing experience. In this shootout, we find out which is the best. 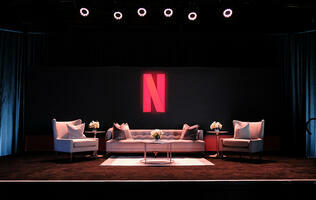 Note that we’ve omitted designs made specifically for a certain model, such as those that integrate a case or cover. First-party devices such as Microsoft’s Type Cover or Apple’s Smart Keyboard are generally very good, but we’re looking for solutions that you can use with any device. You might be asking, ‘Why is an Apple keyboard in this OS agnostic shootout?’ Well, while Apple doesn’t publicize it, it’s actually really easy to pair the Magic Keyboard with any iOS, Android, or Windows device. Just turn it off and on again with the power switch in the top right corner and it will be discoverable in your device’s Bluetooth menu! Select Magic Keyboard and pair. Unfortunately, unlike the other keyboards in this shootout, you can’t easily switch between devices – every time you want to connect to a new device you’ll have to re-pair it again. The keyboard measures 279 x 115 x 10mm with a tapering wedge shape and weighs 231g, making it fairly portable. 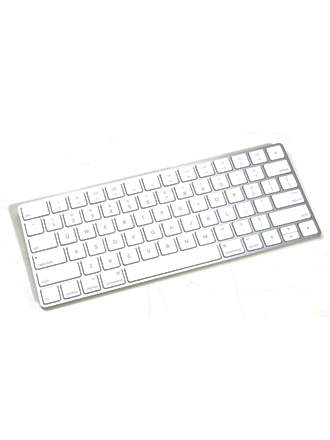 Like all Apple products, it’s beautifully designed with a frame made from silver aluminum with white keys. The back doesn’t look as good though, with its glossy white plastic rear. The keyboard has a rechargeable battery which Apple says will last about one month between charges, after which you’ll have to use the provided Lightning cable. Apple has designed a new low profile scissor switch mechanism for the Magic Keyboard that offers increased stability while still allowing for a generous amount of key travel. The keyboard is essentially the same one found on Apple’s MacBook, and the typing experience on the Magic Keyboard was the best out of all four of our keyboards. The keys feel firm with absolutely no wobble, and the wedge shape of the keyboard provides a comfortable typing angle. The only downside to the keys is that they’re a little noisy. 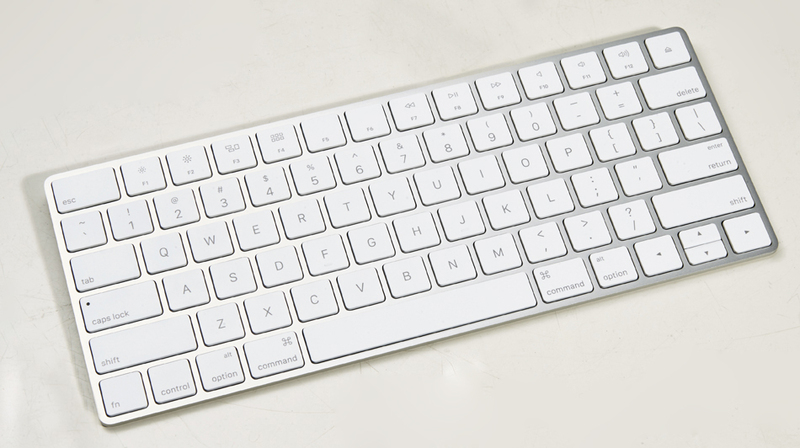 As an Apple keyboard, the Magic Keyboard is designed for iOS and OS X devices so some of the extra functionality buttons may not work with all devices. While the media keys (F7 to F12) seemed to work fine, screen brightness (F1 and F2) didn’t work when paired with my Android phone. The Command and Option buttons do actually work with Windows and Android, but you won’t find much extra functionality here. 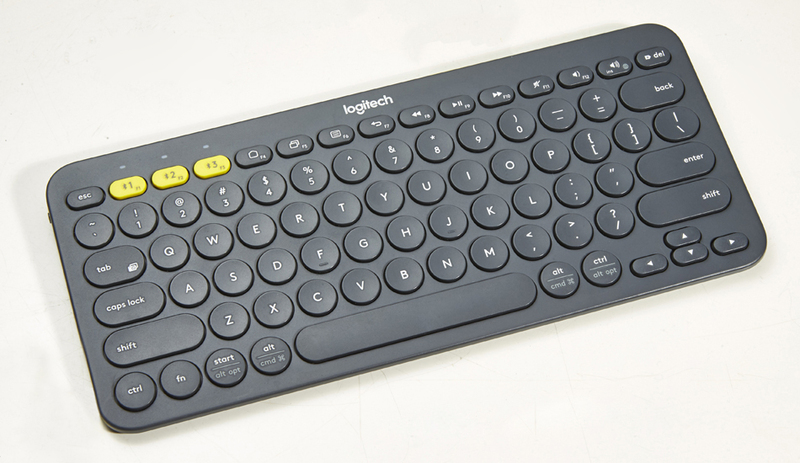 At just $54, the Logitech K380 is by far the most affordable keyboard in our shootout. It’s also the heaviest, weighing in at 423g with its batteries installed. The keyboard is made entirely of gray plastic and measures 279 x 124 x 16mm. 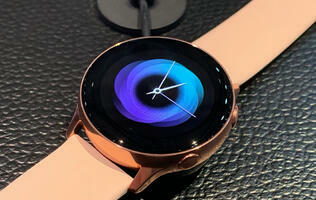 It has a sloping profile, which gives it a comfortable typing angle. The keyboard is powered by two pre-installed AAA batteries, which Logitech says will last two years assuming daily heavy-usage (defined as eight hours a day), which is pretty fantastic. Standard batteries also means that you can easily replace them if the keyboard dies on-the-go. There’s a power switch on the left-side of the keyboard. Pairing a device is as simple as holding down one of the three yellow buttons on the keyboard until its light starts blinking. 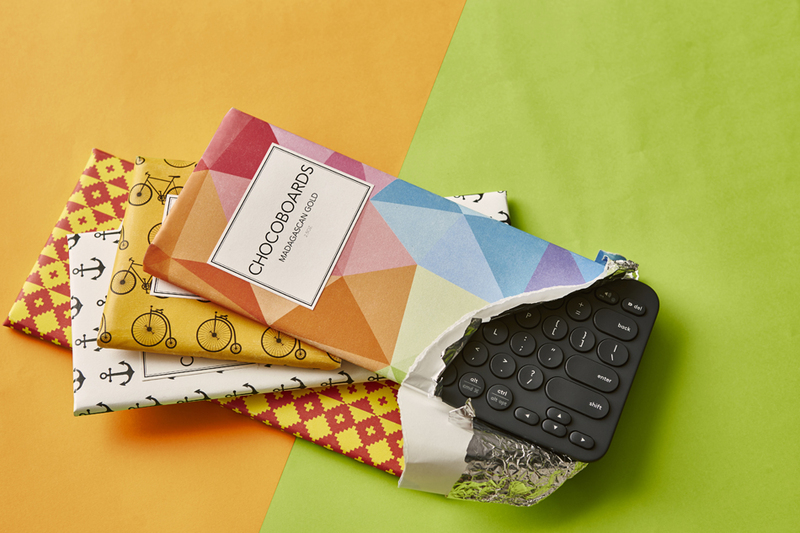 Then just pair to your device like any other Bluetooth keyboard. You can do this for three devices and it’s quick and easy to switch between devices by pressing its corresponding button. The keys are labeled with both Apple and Windows/Android functions, and the keyboard will automatically sense the platform it’s paired with and switch the keys to suit. 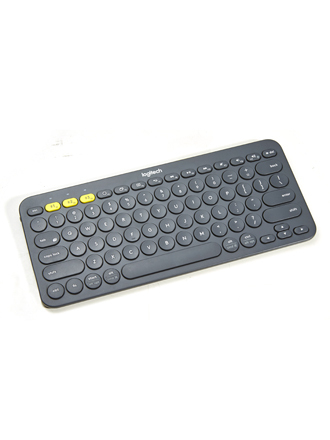 Rather than the more conventional square keys, the K380 has round chiclet keys. The keys aren’t really harder to type on, but they do feel different. Round keys can actually result in fewer mistypes, as there’s more space between each key, so you won’t accidentally hit the key next to the one you were aiming for. Typing on the K380 is comfortable, thanks to the elevated typing angle, and the keys themselves feel firm with a decent amount of travel for a portable keyboard. 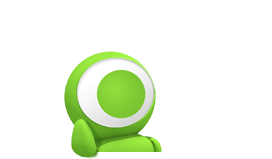 There’s also some added functionality for mobile devices, as the F4 to F7 keys double up as home, recent apps, menu, and back on an Android device, and also share some functionality for other OSes. For example, the menu key opens up the right-click menu on a Windows device. You also get a full set of media control keys on F8 to Insert.